Because of this, Sailthru recommends developing a compelling customer onboarding series within those first 30 days, and aim keep unsubscribes under 3%. Let’s start by considering this Princeton study titled “Decision Making and Avoidance of Cognitive Demand” that confirms people are inherently lazy: we have a tendency to choose the action that requires the least energy. How does this relate to your emails? Nowadays, the inbox is a very crowded place. In a “limited & biased toward gMail” study on PandoDaily an analysis of 38,000 inboxes found that 30% of people have between 10k – 21k emails in their inboxes. That requires a lot of attention to manage. So know that when your reader opens your email, they’re already suffering from some degree of email fatigue. 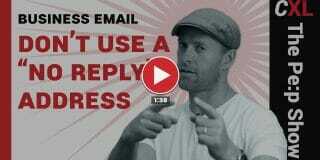 …the action that requires the least energy is to ignore your email. 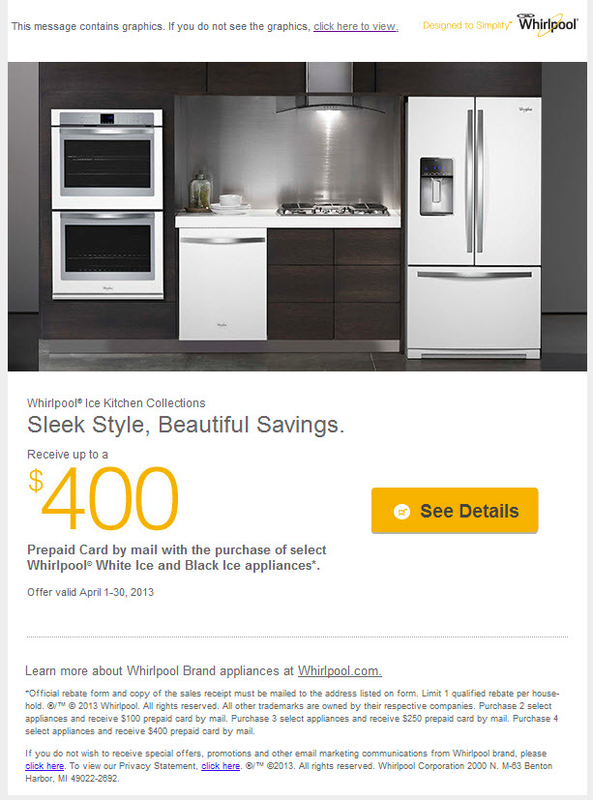 In this case study from MarketingSherpa, we find that Whirlpool was able to increase their click-through rate by 42% by simplifying their email. By reducing the amount of competing calls-to-action, Whirlpool was able to focus subscriber’s attention & squeeze more results out of the same email. Also consider: today, 2 out of 3 emails are first opened on a mobile device & 63% of all decision makers check their email on their phone. 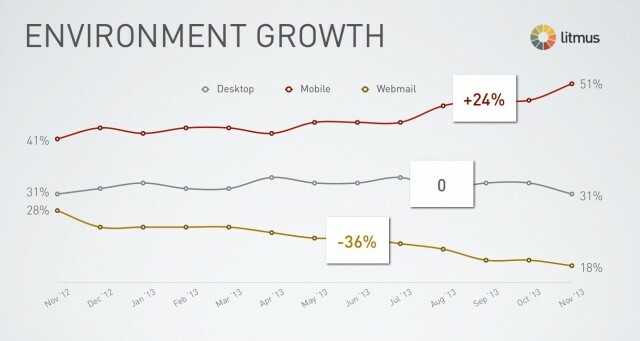 Also, as of December 13th 2013, mobile email opens surpassed the desktop for opens. 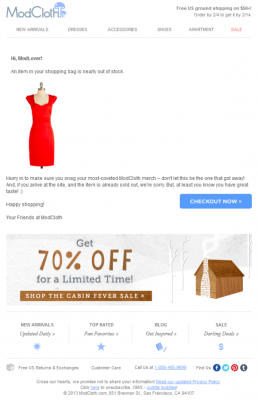 Simpler emails are more suited to the smaller screen sizes of mobile devices. You can no longer assume that everyone is using a desktop computer. 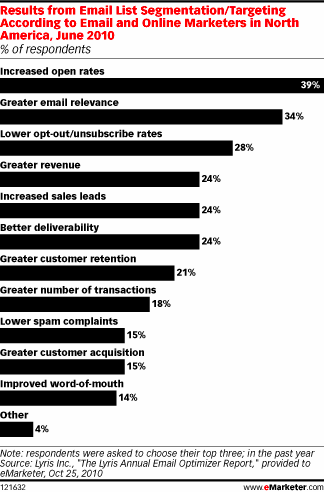 Sidenote: Research from Litmus also shows that 97% of people read emails only once & on a single device. If 2/3rds of people are opening on mobile & your email strategy is grounded in people reading free content (like this article) wouldn’t that mean the phone isn’t necessarily the best device for article consumption? Increase the chances of your mobile email openers to return to your content by including a “read later” icon like Instapaper or Pocket. Recalling that people are inherently lazy, simplify your emails by reducing everything down to the absolute essentials – including an easy way to come back to the content later if they want to. Let’s put the alarmist tone aside for a moment and put on our marketing hats: this is Target putting segmentation to work. Let’s also view it from the customers’ perspective: imagine yourself as someone who is newly pregnant. You need pregnancy products. Target sends you a package with coupons for the pregnancy products that you need. Is that relevant? Does it align with your interests? Do you open the package? 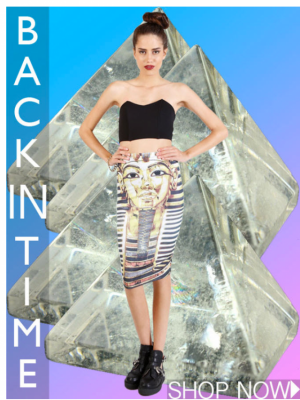 To see this in action, let’s look at SwayChic who created multiple segments & increased average open rates by 40%. 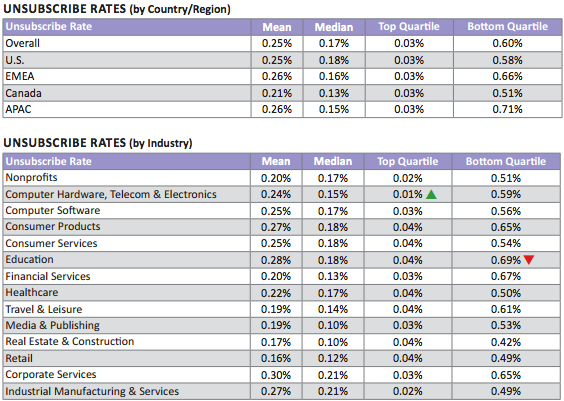 They also also started to see positive correlations between sales data and day of the week. So, they did what any smart email marketer would do; they developed a campaign to send emails when subscribers were already on & more likely to buy. Read 27 different ways to segment your email list here. First, understand that there’s no one perfect time to send email. 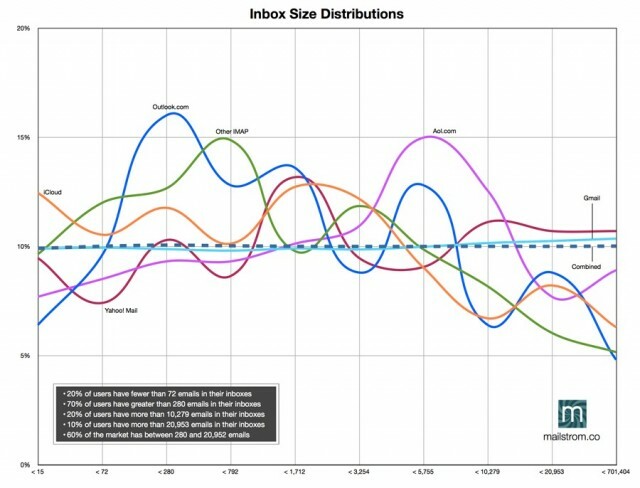 Every email list is different, so be wary of using other peoples’ data to plot your strategy. You can, however, use your own data to make educated decisions about when to send. Take this graph of “open times” for example. It’s fairly obvious that 4pm, 9am and 8pm are prime times for emailing people on this list. This is why it always comes back to knowing your customers. 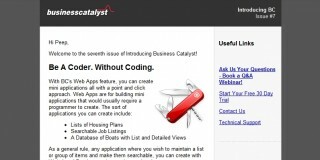 Let’s say you run site that caters to business women with young children. “This segment is mostly American working mothers who have 2 school-age kids, so their mornings are probably spent driving their kids to school then hurriedly getting to the office. In a “send time” experiment by MECLABS last year, they A/B tested which time of day would get the most response from a finance client’s email list. They hypothesized that sending at 3:00am would be effective because it was taking advantage of being first in the inbox whereas sending at 3:00pm subscribers would be deep in the “work” mindset. Everything about the AM & PM emails for each day, except the time of day they were sent. 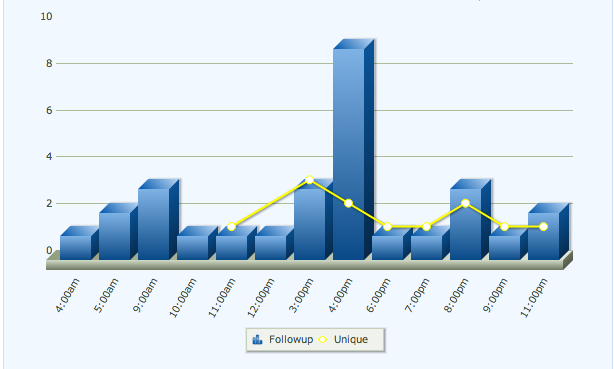 What they found was that the 3:00pm email consistently outperformed the early morning email. For more in-depth detail on this experiment, go here. Here are a few more strategies to consider when creating segments to keep your lists active. 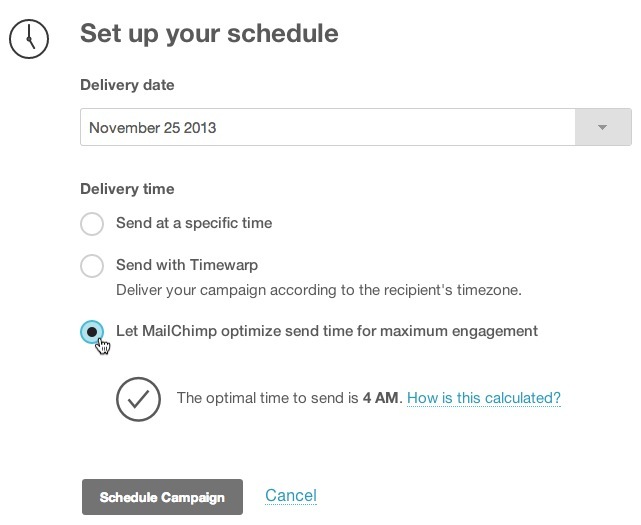 Lumosity observed their conversion rates as they tested two email cases: the first, where they sent an email on the same day as registration; the second, where they scheduled the emails for Tuesdays or Thursdays – days commonly tagged as the best days to send emails. Lumosity reported that conversions “increased significantly,” while site usage jumped 81% when they sent immediately after signup. 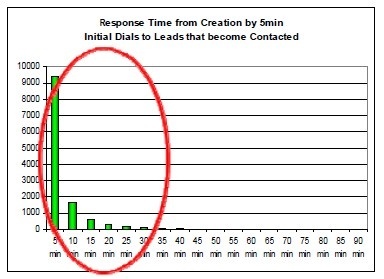 This “I want it now” behavior is reflected in a lead contact by phone analysis done by InsideSales that found response time to phone calls drops dramatically between the 5-10 minute mark. 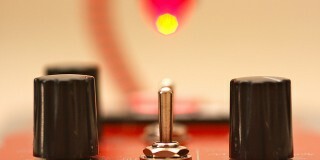 Could it be that when someone signs up by email, they’re signaling they want something right away? But did you know that new research by Temple’s Fox school of business shows that the most effective kind of segmentation is based on behavior? Spotify, for example, does this whenever someone adds music to a playlist you follow, or when an artist you like adds new music to the service. 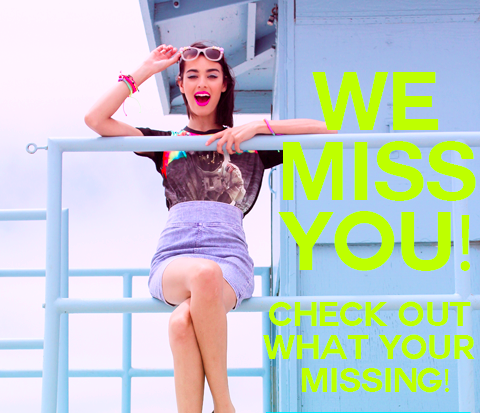 Modcloth does this by letting you know items in your abandoned cart are nearly out of stock. Some services you can use for these kinds of transactional email are Mandrill, Sendgrid, or Mailgun. This feature chart on SocialCompare should help you compare these three & others to find the features that are best for you. Do This: Segment your list into corporate and personal domains (Gmail, Yahoo, etc). Now, experiment with sending to the corporate domains during business hours and personal domains on weekends and non-work hours. 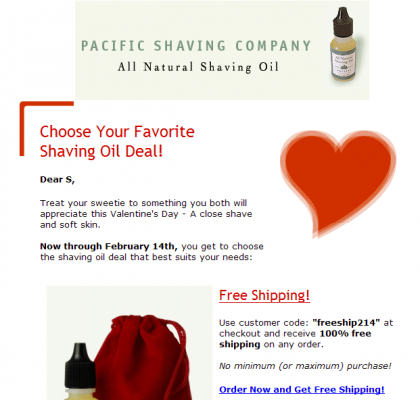 Pacific Shaving Company tried this stagger strategy for their Christmas and Valentines campaigns and saw tremendous results in their conversion rates: 87% and 58%, respectively. This can be extremely effective if you’re respecting the environment your subscriber is in when they receive the message. Moreover, separating your “business” clients from your “consumer” clients can help you to identify even more profitable segments (or partnerships) further down the road. 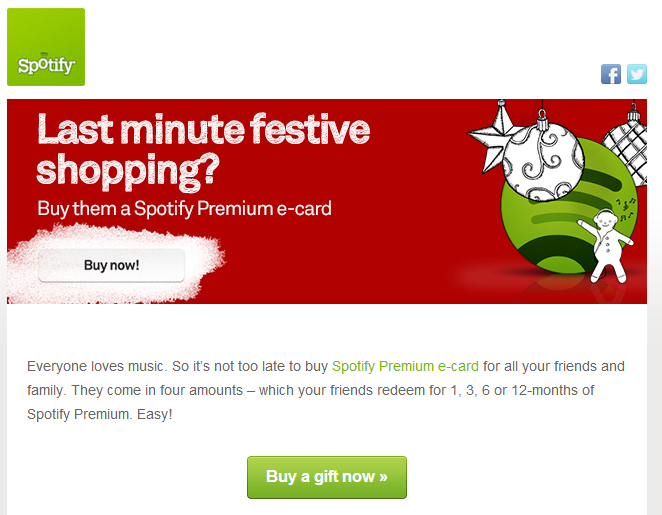 Imagine how much more effective an email like the one below could be if it were sent only to branded email addresses. Earlier, we talked about SwayChic’s reactivation campaign and how it contributed to 40% increase in overall opens, but what impact does reactivation have on revenue? According to this excellent white paper on reactivation campaigns, Experian found that a “thoughtfully planned” re-activation strategy could deliver up to 14x email revenue. They also found that the costs associated with re-activating customers were significantly lower than acquiring new ones, making the margins on a reactivation significantly higher. What about the customers who don’t reactivate? Ask them to unsubscribe. 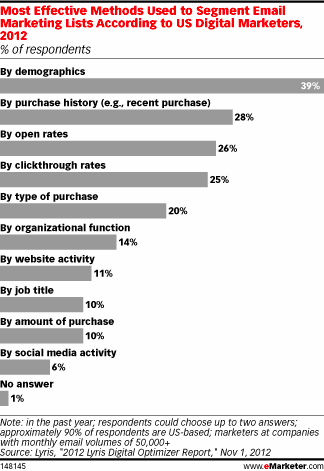 Though it may seem counter-intuitive, your open rates will be higher, you click through rates will be higher & your marketing metrics will be more reflective of your efforts. Not to mention you won’t be paying for people who won’t actually convert to buyers. Choosing a vendor that’s a good fit allows you to focus more on your content, resulting in higher-quality emails that drive results. How do you know it’s time to consider switching? You need functions they don’t offer, or it’s a pain to use the functions you need. For example, scheduling and staggering emails is incredibly easy for some vendors, and incredibly difficult in others. Your segments are getting out of control, or you have the problem of having “too many” leads. In this case, you’ll want to look into marketing automation software like Hubspot, Infusionsoft, Eloqua or Marketo. Don’t be complacent, always look at the best fit for your needs. 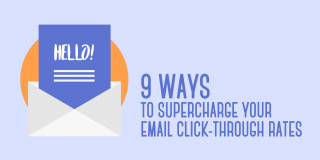 The inbox is becoming a very competitive place, so it’s critical that you’re making the most out of those few precious seconds your readers see your email. How do you keep your list from shrinking? As we’ve seen from the above examples, successful companies take the time to deeply understand their customers’ behavior. Armed with that knowledge, they then constantly run experiments to improve their email metrics. Always test and get your own data. It’s useful to use frameworks such as these and look at results from other companies, but treat them as a general guideline. Your list will have its own unique characteristics that you can use to your advantage. David Fallarme is a startup marketer who loves making charts go up and to the right. 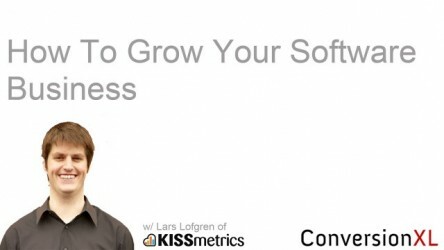 David shares insights for scrappy marketers on Growth Hero. Today, he works at ReferralCandy, an ecommerce tool that helps stores get more customers. In this day and age, attention span seems to be getting shorter which is why we need to continually test various marketing schemes to adapt with customer behaviors. The same is true for our email campaigns. Testing, experimenting and innovating should always be a part of our strategy. So true, Divine. There’s no excuse not to test – once you reach a certain scale, not testing means you’re just throwing money away. And no guarantees that what worked last year will keep working in the future. So what’s your favorite test? Will be spending a couple of weeks testing the ideas over here. This is an in-depth post…it seems like many of these techniques require a lot of preparation and monitoring. What about some of us who want a quick solution for mailing to our ‘list’ without implementing some of the next-level techniques here? It might be worth considering some of the tools which offer quick-release email elements which would also encourage email engagement and even increase click-through rates. I would suggest a startup (just featured on Product Hunt! ), ClickHere.io. If you want to learn more about countdown-timers and personalized images, it would be worth a look-see.